Graphics cards are used by gamers to ensure they get the most out of their PC games, so install a new graphics card in your PC and enhance your gaming experience. 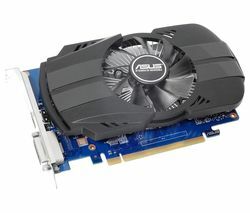 Graphics cards are also used by designers who need better graphics handling from their PC. Graphics are an integral part of all PC games, however, most PCs aren’t built for the high-end graphics featured in a lot of PC games, so images can lag and end up ruining gameplay. No matter what type of PC games you prefer it can be a disaster if your gaming sessions don’t run smoothly. If you’re having problems with images when playing games, you don’t necessarily need to buy a whole new PC or monitor, simply upgrade your graphics card and you’ll be up and running in no time. Your friends will be impressed with the stunning visuals on display when you invite them around to check out your new setup. 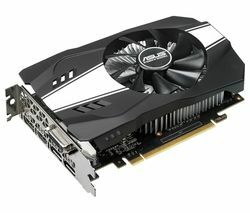 Asus graphics cards are top of the range, so you won’t be disappointed if you install one in your gaming PC. And if you’re looking for a graphics card that features state-of-the-art components and can handle heavy use, take a look at our collection of MSI graphics cards. Whether you’re a gamer or a designer, installing a new graphics card will take your PC to the next level.